This recipe brings back wonderful memories of my childhood. 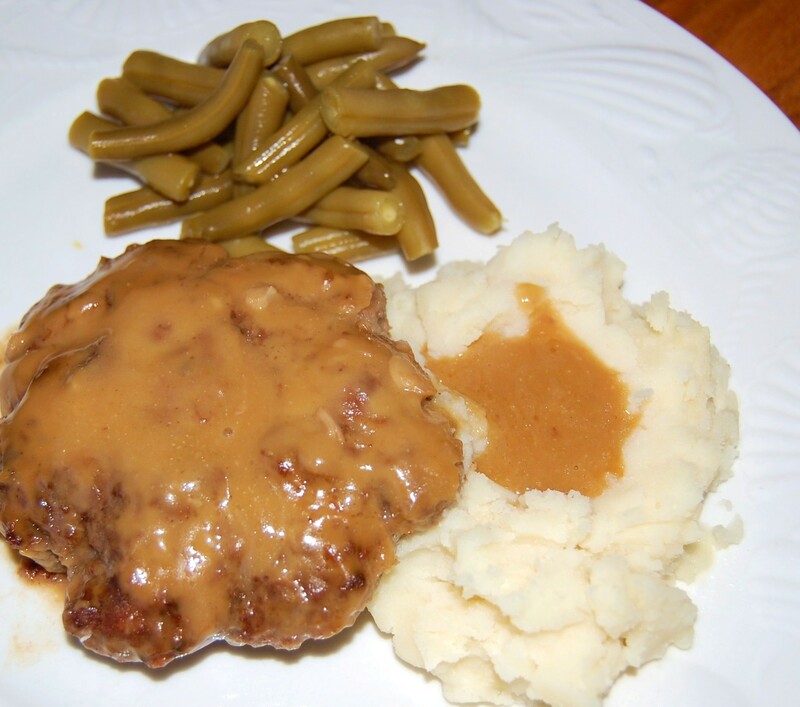 Growing up in the 60's & 70's Salisbury Steak was a staple in our family. Although, my Mom did not make hers in a slow cooker, my version, dare I say, is BETTER (and Mom's was the BEST!!) The secret to this recipe is to brown the patties and slow cook them. 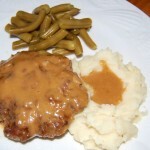 Serve alongside mashed potatoes smothered in delicious brown gravy and fresh cut green beans! You know it's GOOD when the kids ask for seconds!! Heat 1 tablespoon oil in a large skillet over medium-high heat. Dredge 4 of the patties in flour just to coat, and quickly brown on both sides in the hot skillet. Repeat with remaining 4 patties. Place browned patties into the slow cooker stacking alternately like a pyramid. In a medium bowl, mix together the cream of chicken soup, au jus mix, and water. Pour over the meat. Cook on the LOW for 4 or 5 hours, until ground beef is well done. Serve steak with mashed potatoes, gravy and fresh cut green beans.